I wanted to make sure that you had seen the GoFundMe campaign set up by Jessica Escobar, who owns Sip of Seattle in Northwest DC. As bigger coffee shops have moved into the area and rents continue to rise, Jessica is being forced to leave behind the shop that many have loved for over 22 years. Hello everyone! 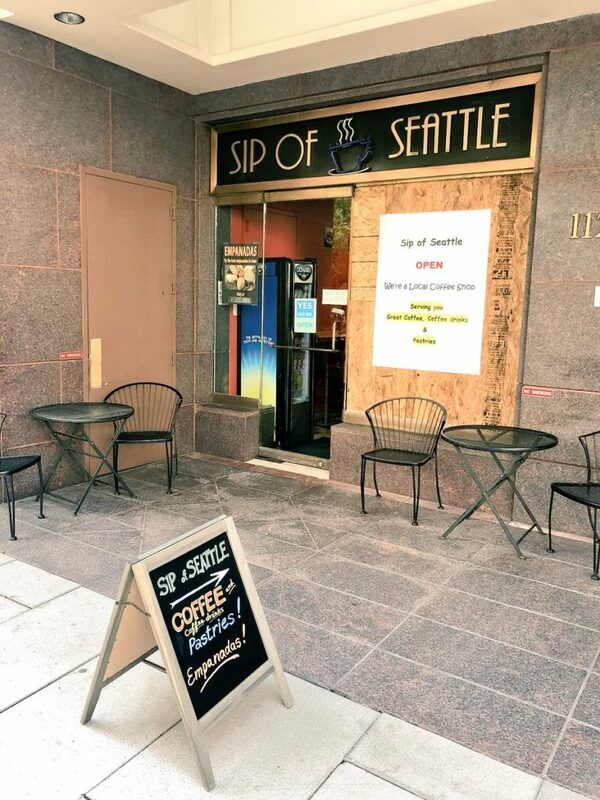 As many of you have heard, our family coffee shop “Sip of Seattle” in Northwest DC has been claimed due to high rent costs and bigger corporations opening nearby. After 22 years, our family will be closing our doors for the last time on December 14, 2018. With tears in our eyes, it hurts that it has come down to this unwillingly and despite the circumstances, on our final day we would like to invite everyone to join us and share a fresh cup of Colombian coffee with a welcoming smile just like always. Thank you all for your support and for making this shop become a big part of our lives and yours. We couldn’t have done all these years without you all and look forward to serving you one last time. All proceeds will go to settling the last outstanding expenses and help get back on our feet. UPDATE: Tree Taken. Anyone Know of a Good Home for a Christmas Tree or Need One Themselves?